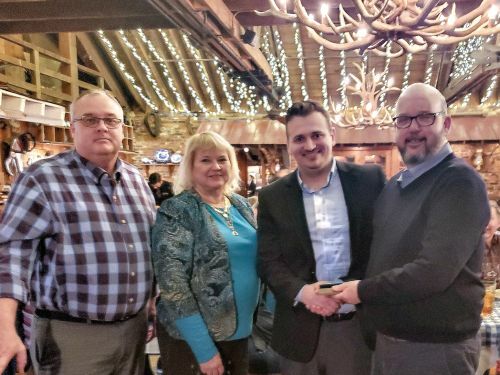 Pinnacle Marketing announces our 2018 recipient of the Jaime Koroslev Excellence in Representative Support Award. Rick Barker has shown enthusiasm and passion for his company, as well as supporting our efforts to promote the products manufactured by Johnson Electric, a global manufacturer of solenoids, motors, and switches. Rick rose up from Customer Service and is now a Sales Manager for Johnson Electric. He continues to provide great support to our team and has been instrumental in helpings us win new business across our southeastern territory. We take great pride in telling Jaime’s story and the purpose of this award. Rick’s name has been added to the plaque in our conference room alongside our other winners. Please join us in congratulating Rick for a job well done!